We are delighted to have achieved the Bronze Food for Life Award, after two years of hard work. In doing so, this has led to many more cooking opportunities for the children as well as improving their dining experience at school. Last week, we took four of the PLT group involved in helping to gain the bronze Food for Life Award to a special celebration ceremony. 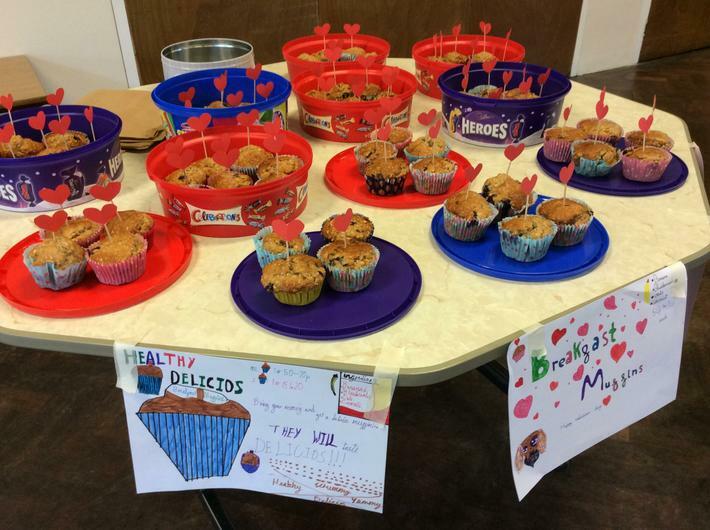 As well as collecting the award, the children had lots of fun throughout the morning making bread, sowing seeds and getting creative with fruit kebabs. Thank you for all of your support in gaining this award. 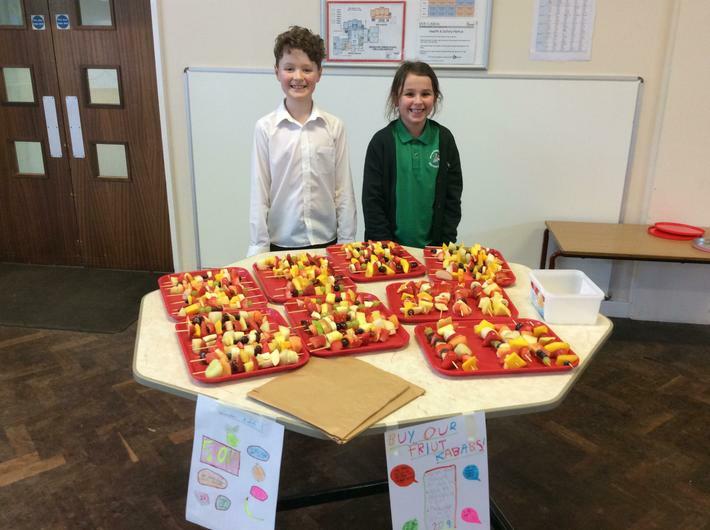 The whole school had lots of fun preparing and cooking their produce as well as designing posters to make their stall stand out. 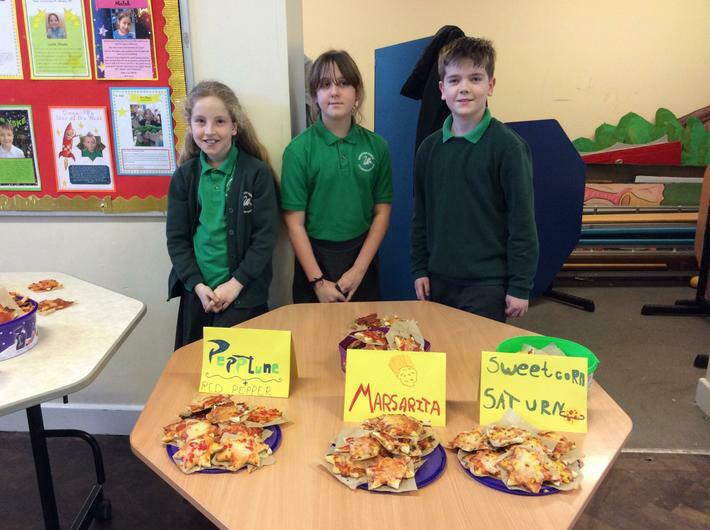 Year 5 particularly stood out, not only did they come up with space themed names , they raised the most money too! 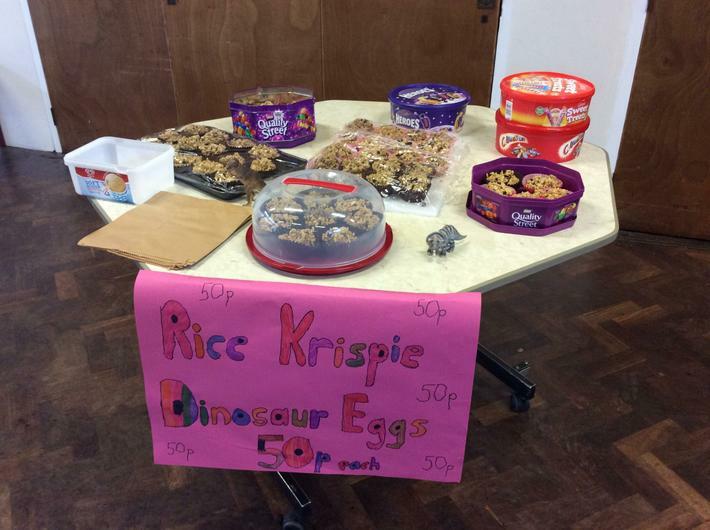 Lots of delicious snacks were sold and altogether we raised £167 for the Multi Use Games Area. 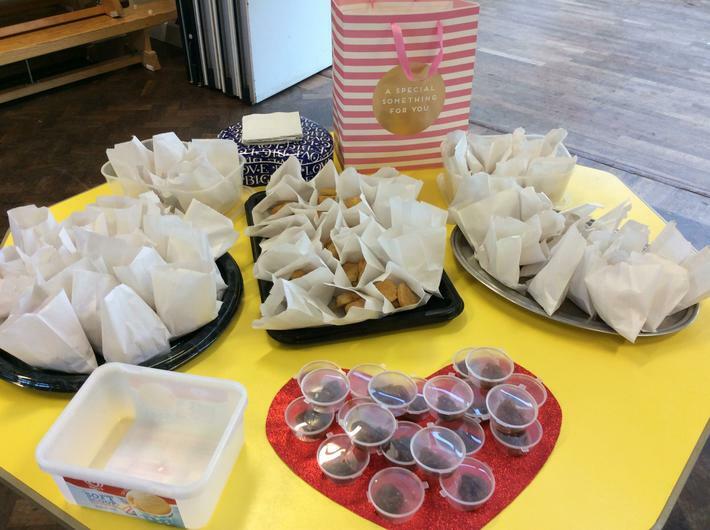 This week, we took part in 'Food for Life's Great Roast Dinner Day'. 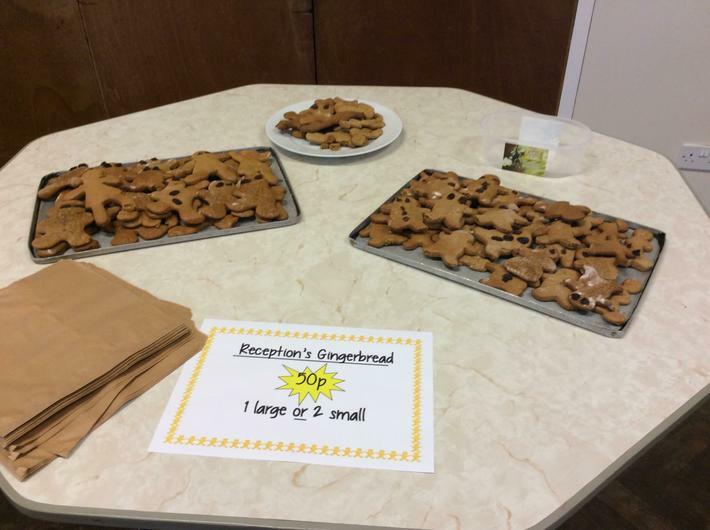 Many of the foundation children's parents or grandparents joined them for a roast dinner. The children really enjoyed sharing what they do on a daily basis in the lunch hall with their lunch guests. Later in the year, there will be further opportunities for parents and grandparents from other year groups to come and experience our lovely roast dinner. 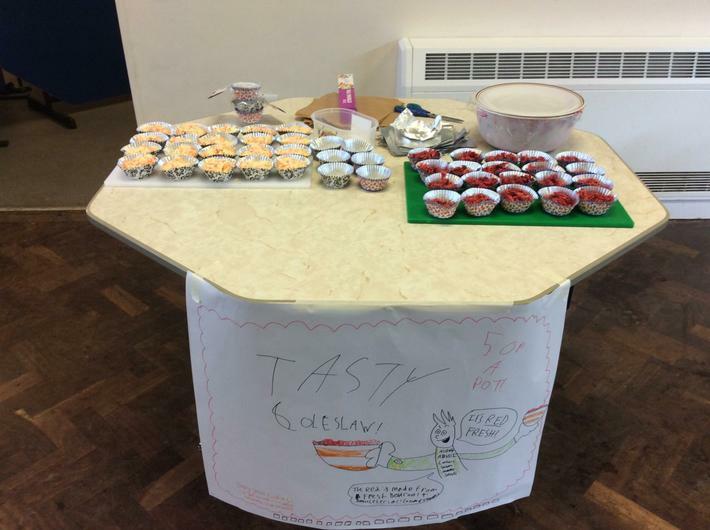 Our student food group want to find out your thoughts on school lunches and to see if you would like to get involved with projects around cooking and growing in the future. We would appreciate it if you could complete this short survey. We are doing a great job at composting all our fruit and vegetable peels from our snacks. We look forward to being able to use the compost on our school garden in the future.